As the legislature considers several bills to move particular groups of employees from one retirement group classification to another, NAGE is asking lawmakers to move all current Group 1 workers into Group 2. NAGE Legislative Director Ray McGrath testified at a January hearing before the Joint Committee on Public Service on behalf of House Bill 2243, sponsored by the union and Rep. Tackey Chan (D-Quincy). The bill would move all workers now classified in Group 1 to Group 2, allowing them to retire with full pensions at an earlier age. 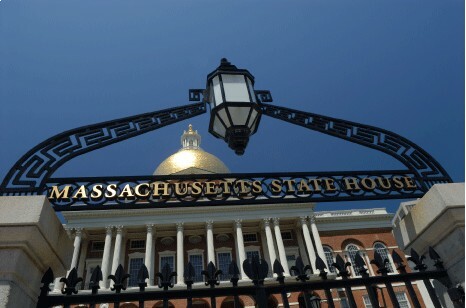 “This is a matter of basic fairness for the people who keep our state and our cities and towns working,” said Ray McGrath, NAGE legislative director, following his testimony at the hearing. McGrath explained that the Patrick administration has proposed several changes to pension and health care benefits for workers and retirees, some of which have already been enacted. Although the administration calls them cost-saving measures, McGrath said the changes merely shifted the financial burdens onto individual workers and retirees. “These employees are already paying 110% or more of their own retirement costs before they retire,” said McGrath. “The pension system is healthy enough to streamline the current classifications and do the right thing for the people who have served their entire careers in public service.” With a few minor changes to the contribution side of the pension system, he said, the state could help tens of thousands of future retirees (many of whom will never get Social Security) remain independent members of their communities as they age. If passed, the bill would impact tens of thousands of state and municipal workers. NAGE will alert members to developments regarding HB 2243 as they occur.